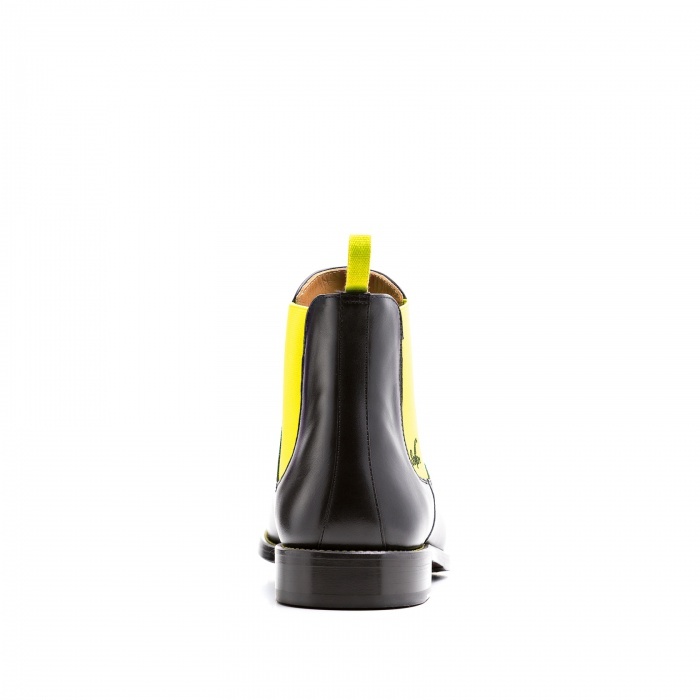 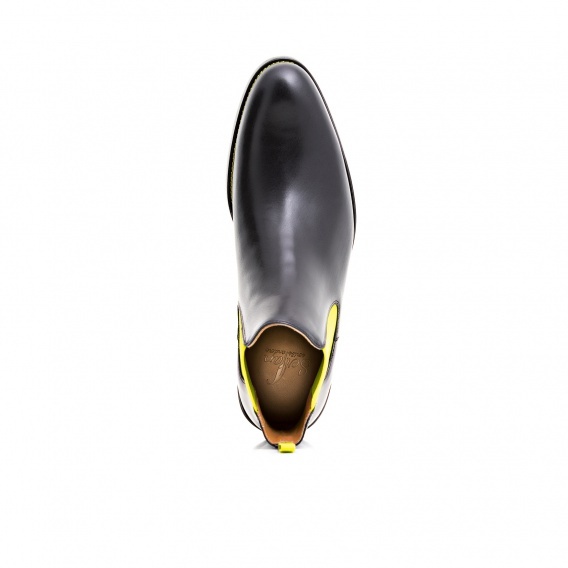 Our Chelsea Boot in black and yellow looks interesting and exciting. 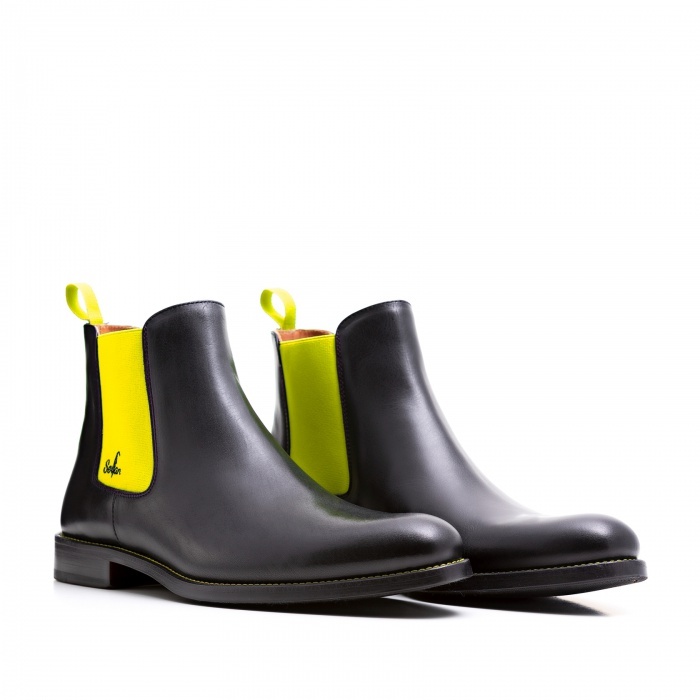 With the yellow spandex inserts he does not only add brightness to the design of the Chelsea Boot, but also makes you more awake and your day a bit brighter. 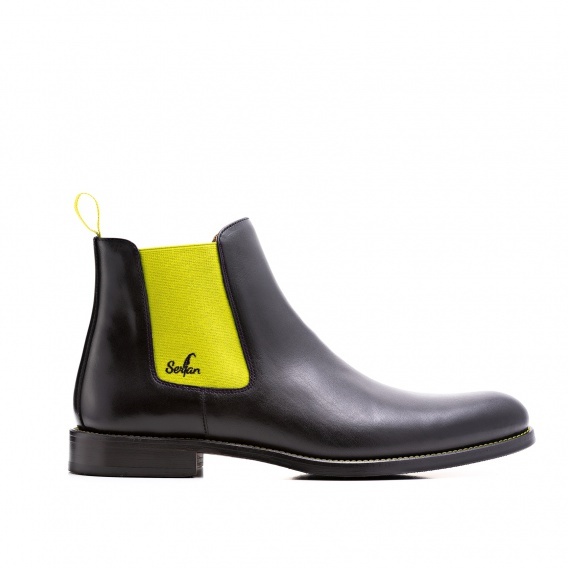 Wear this colour combination and the boot will carry you weightlessly through your everyday life. Regarding wearing comfort and fit there is nothing that can beat our Chelsea Boot thanks to the elastic bands on both sides of the boot. Combined with a black skinny jeans this colour combination makes your look more or sporty and at the same time also more elegant.